This mood this afternoon is all a little bit whimsical. By whimsical, I do of course mean I'm in a 'OMG it's my birthday weekend and I'm way too excited to do any my work, let's go to the zoo and try and steal a PARROT' kind of mood. You've all been there, haven't you? Luckily, before I could formulate a parrot-stealing plan, I discovered Molly Hatch's work and had to tell you about it straight away. The parrots are safe, for now. 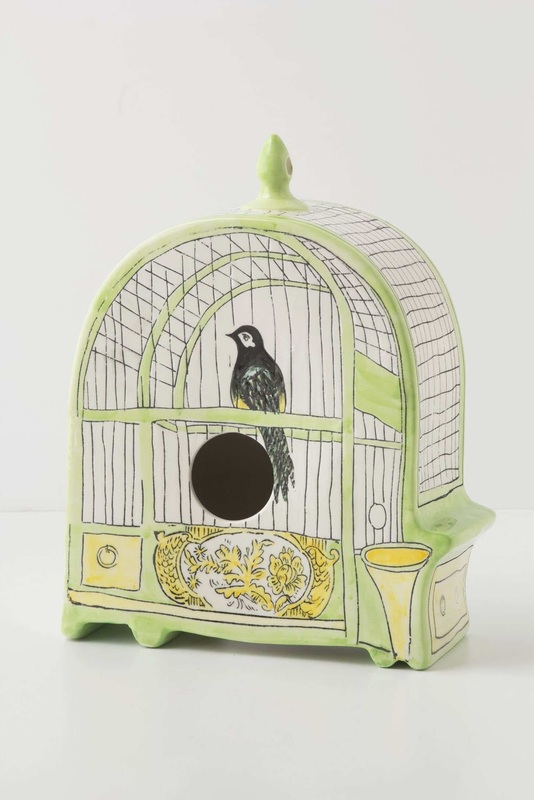 But if I got myself a Molly Hatch birdhouse, I reckon they'd be quite happy to come and stay for a bit. I know I don't have a garden. Or birds. And I have a cat so I can't even have birds. 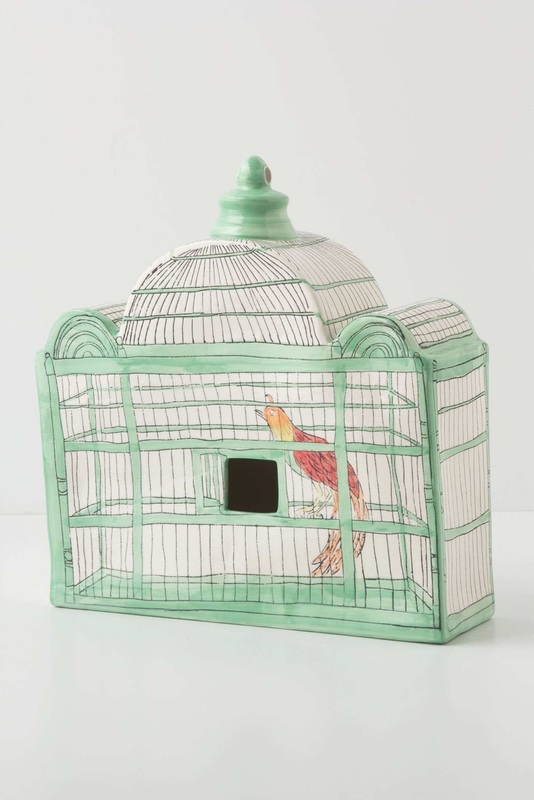 And a Trompe L'Eoil birdhouse is totally superfluous to my needs. I don't care. Why are you ruining my fun? They're only £58, which does seem rather reasonable for fancy designs at Anthropologie. This is a very foxy ceramic cake stand. Very foxy indeed. 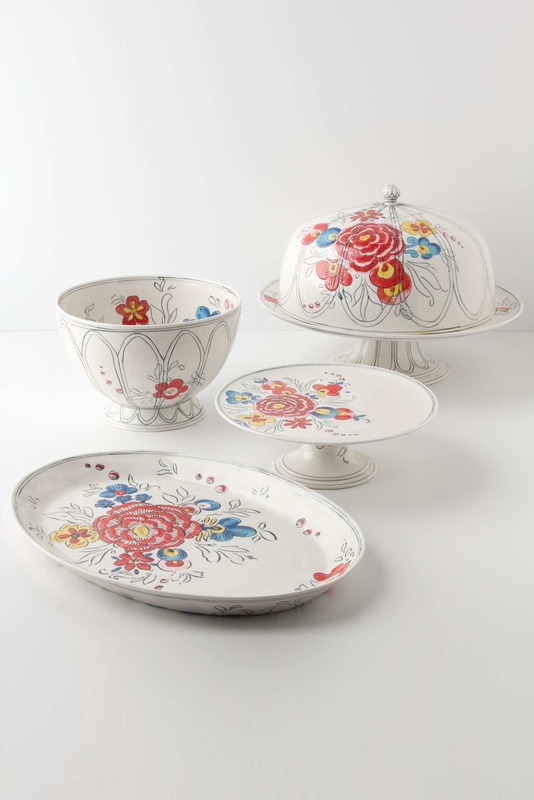 The cake stand is £138, though. Damn Anthro, why do you tease me so? 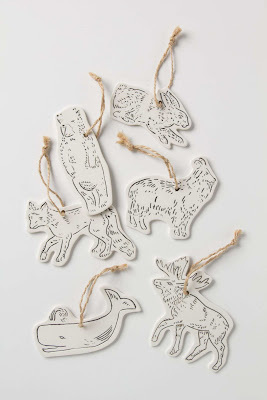 Ceramic animal gift tags?! That's adorable and well posh all at the same time. That's the best mix of anything ever. They're £22 for a set of six and will guarantee that your gift recipients like you the best at their birthday party. Loving all of Molly's designs but thinking 'c'mon Sian, it's not even pay day and I've spent all of my money on Laura's sale bargains!' That's a fair point. 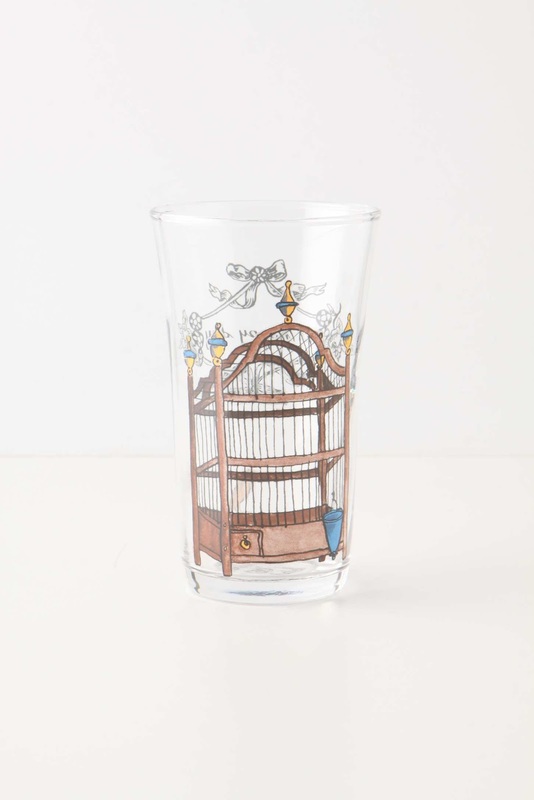 This lovely bit of glassware is just £10. I'd like some of these pieces for my birthday, but should you happen to be buying me gifts, I'd be equally happy with a parrot.